Lee's Chop Suey has been satisfying the hunger of Regina's citizens since 1989. When you are craving delicious Chinese cuisine with an authentic cultural feel, look no further. If you are pressed for time, we have daily lunch and evening buffet available. Wanting a more relaxed mealtime experience? Browse our complete menu and spend some time enjoying delicacies like almond prawns and beef steak kew. 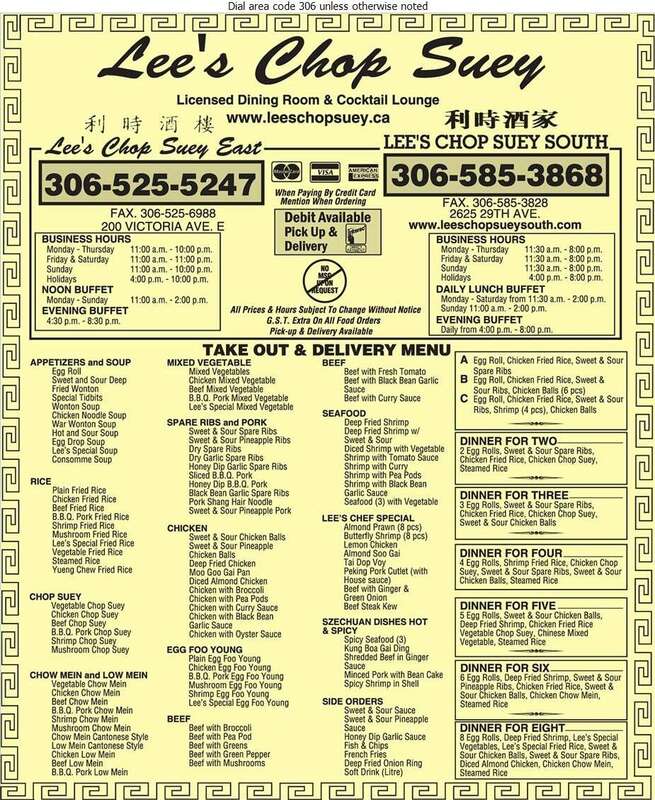 For great Chinese food in Regina, call Lee's Chop Suey.